Biltong, Ouma rusks and droëwors are typically South African, but what might be your favourite snack, may seem a little odd to foreigners. In this funny Buzzfeed video American’s try South African snacks for the first time. Biltong, Ouma rusks anddroëwors are typically South African, but what might be your favourite snack, may seem a little odd to foreigners. 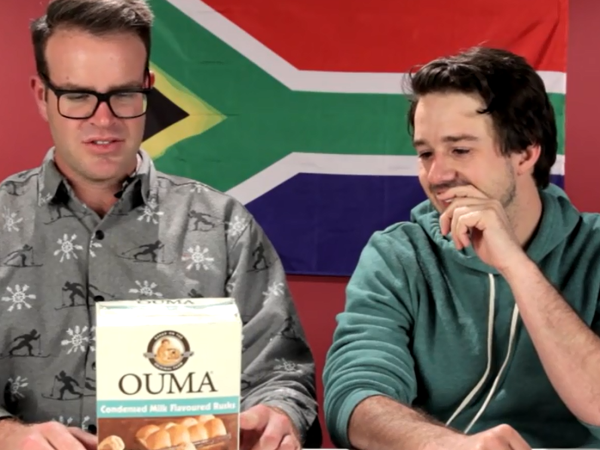 In this hilarious Buzzfeed video Americans try South African snacks for the first time. Most love koeksisters and their opinions on rusks are divided, but whoever made the video should have given them tea or coffee too -- who eats rusks without dunking them first?